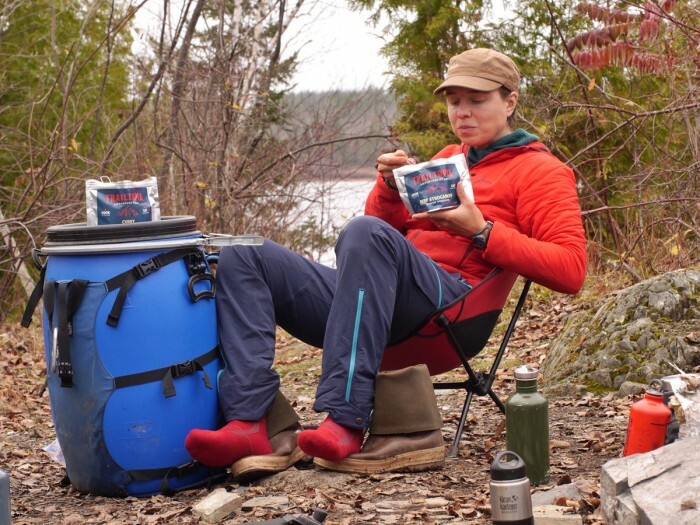 Adventurers Dave and Amy Freeman are spending a full year in the Boundary Waters, living outside and testing gear as part of their daily life. In this review they look at equipment that’s proven more valuable than expected during the expedition so far. It’s been 4 months since my wife and I last stepped foot inside a building, flipped on a light switch, or twisted a faucet handle. 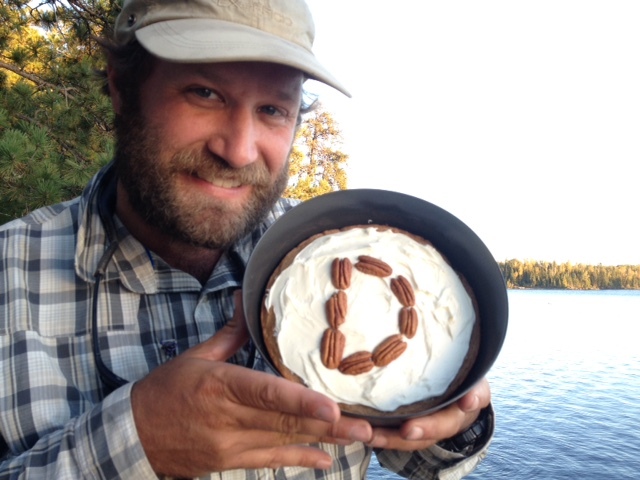 We are one-third of the way through a complete year in the Boundary Waters Canoe Area Wilderness. We are comfortable here in the wilderness, exploring this million-acre maze of lakes and rivers. It’s a great opportunity to use and abuse a lot of gear, and here I want to share 5 pieces of new gear that we have really come to appreciate over the last 124 days outside. We have lots of old standbys, including a grungy jacket I am too embarrassed to show my mother and Amy’s Mitchell paddle, which has propelled us across two continents. They are the fodder for future reviews, but this review focuses on five new items we decided to try during our year in the Wilderness that we expect will remain in our packs long after this adventure ends. 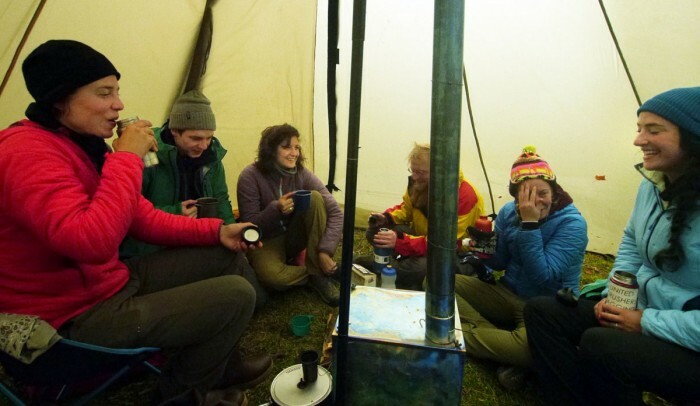 For our year in the Wilderness we wanted a shelter that was lightweight, roomy, relatively quick to set up, and easy to heat with a wood stove. 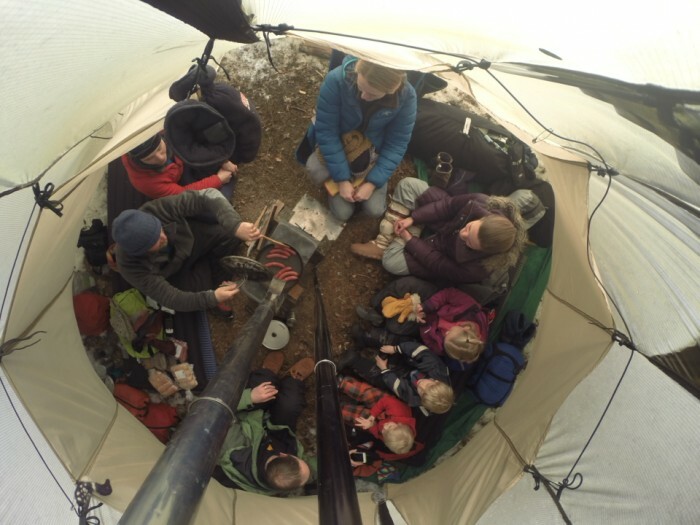 We settled on an 8 man tipi-style tent made of ultralight 30D nylon with a collapsible XL titanium stove, and we have been very happy with the choice. The whole setup with tent, stakes, center pole, stove, and ground tarp weighs about 12 pounds and costs $919. When it’s just the two of us we have plenty of room to hang out in our camp chairs, spread out our gear, and lounge around the wood stove. The tent will comfortably sleep four in the winter with the stove (or six in the summer without the stove). When we have visitors, nine people can easily sit inside and hang out. This is a piece of gear that I have looked at for a long time, wondering if it was worth the weight and expense. In hindsight, I should have gotten a Big Agnes Helinox Camp Chair when they first came out. Amy has a Chair One model (1.9 pounds, $100), and I have a Camp Chair (2.7 pounds, $140). They are easy to set up and make life around camp super comfy. I am sure one of these chairs will remain in my pack on future adventures unless I am seriously counting ounces. 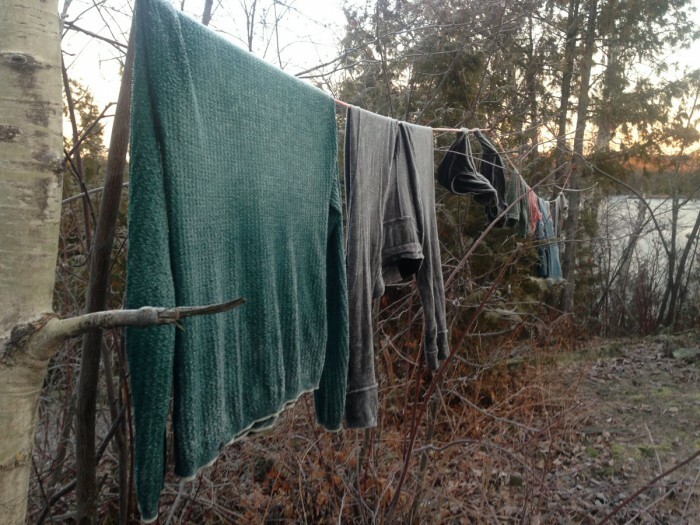 How do you do laundry when you are in the Wilderness for a year? 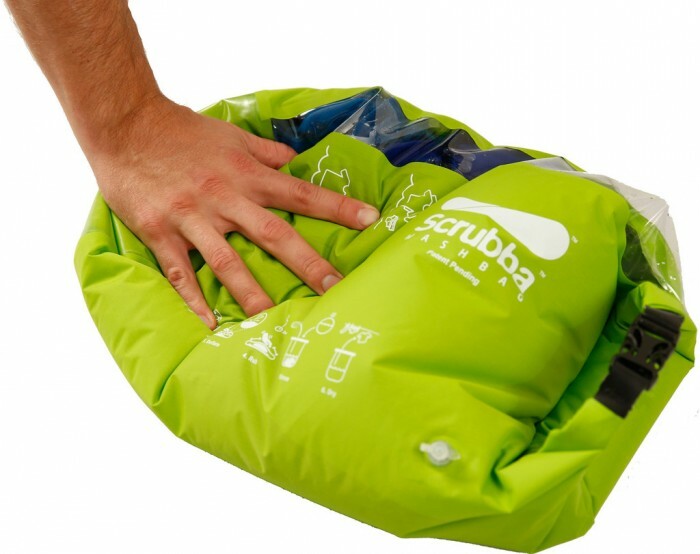 After a lot of head-scratching and Internet searching we decided to give the Scrubba ($50) a try. Amy was pretty skeptical when it arrived, but we use it about once a week and it works really well. It is basically a dry bag with hard rubber bumps built into it that act as a washboard. There is also a little purge valve that allows you to let out excess air before you begin scrubbing. It only takes about five minutes to wash a pair of socks and a set of long underwear. Plus, since all of the water is contained in the bag, it is easy to dispose of the dirty water back in the woods away from water sources. It would also work great for washing small amounts of clothing while traveling internationally. Amy has been using a camp pillow for years, but I have always used a balled-up fleece jacket or some other random piece of clothing as a pillow. Amy convinced me to bring a Sea to Summit inflatable camp pillow ($37) and honestly, unless I am heading off on some fast and light epic, which I don’t usually do, I am from now on bringing a pillow. It only weighs 2.1 ounces, folds up to half the size of my fist, and it is really comfortable. I ditched the cute little stuff sack it came with and simply put it in with my sleeping bag. We have always been a one-pot family. Our MSR 2.5L pot has provided us with thousands of tasty meals over the years and our Dragon Fly stove fits neatly inside. But a year living outdoors is a long time, so we decided a second pot was in order. The Fry-Bake is the perfect complement. They come in several sizes. We use a Deep Alpine most of the time and have the Expedition size sent in when large groups join us. The Deep Alpine Fry-Bake ($61) weighs 13 ounces and has a diameter of 8 inches. (The Expedition Fry-Bake weighs 29 ounces and has a diameter of 10.5 inches.) A full box of cake mix fits perfectly in the Expedition, and a half box works well in the Deep Alpine. With a little practice you can bake just about anything you would bake at home. We bake a lot of cornbread, carrot cake, chocolate cake, and bannock. The Fry-Bake also makes a great frying pan. 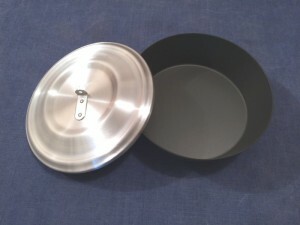 It is nonstick, easy to clean, and safe to use with metal utensils. 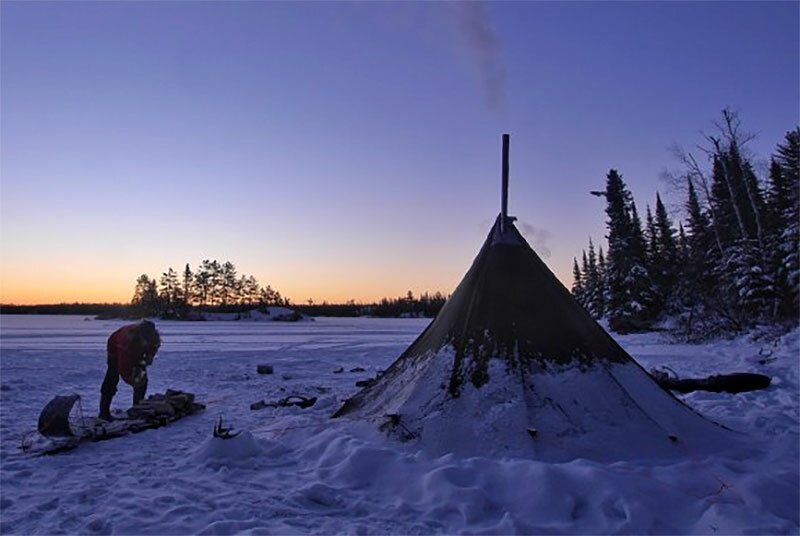 –Dave Freeman and his wife Amy are spending a year in the Boundary Waters Canoe Area Wilderness in an effort to protect the Boundary Waters from a series of sulfide-ore copper mines that are proposed along the edge of our nation’s most popular Wilderness. Throughout their “Year in the Wilderness” they are sharing regular reviews on GearJunkie.com. 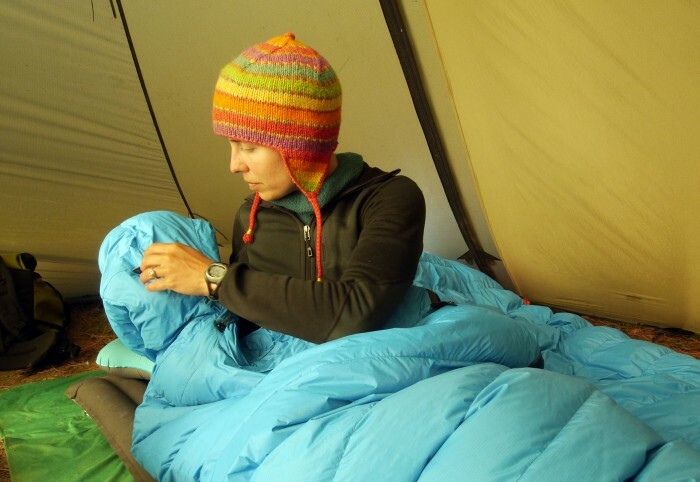 Dave and Amy were named National Geographic Adventurers of the Year in 2014.